The tourism industry is known to be one of the biggest water consumers due to a variety of reasons. For example many beach resorts and public beaches provide swimmers with the opportunity to take a shower after swimming to get rid of any salt, algae and other minerals. 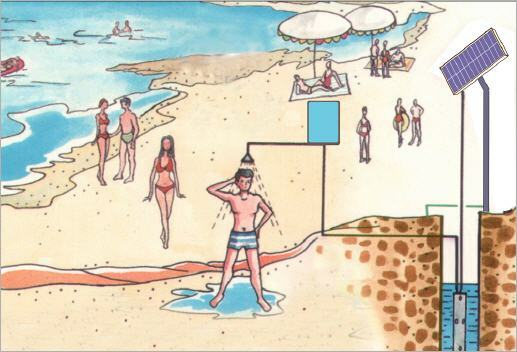 Beach showers also improve the reputation of beaches and make them more attractive for swimmers. 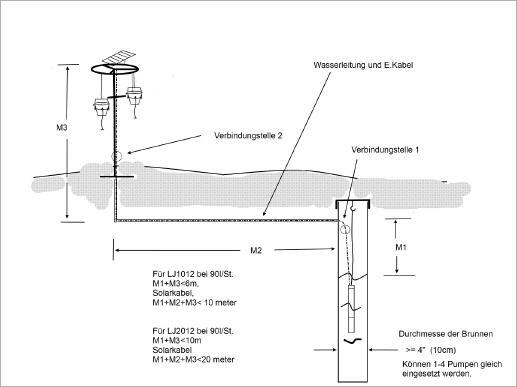 The pumps LJ3012, LJ2012 and LJ1012 offer an excellent possibility to install nonpolluting shower stations directly next to the beach. Thus the beach quality increases and environmental awareness can be improved through this product. Additionally the system minimizes costs for water pipes, water tanks and water retreatment. The pump is very mobile and can be easily reinstalled at different places according to seasonality.